Country Gardens is a current client of ours that wanted a redesign to showcase their work. Being in the landscape and design industry, photos sell and they wanted to have a large banner added with high quality images, to allow clients to view their talent. They wanted to highlight their services and provides galleries for clients to view as well. Overall, the site is very user friendly and does a great job of showcasing the work they do. They are getting a large amount of leads since their redesign and we are super happy to be a part of this. Country Gardens is aware of how important responsive design is when having a website. With responsive design, your website will be formatted to view on all mobile devices. 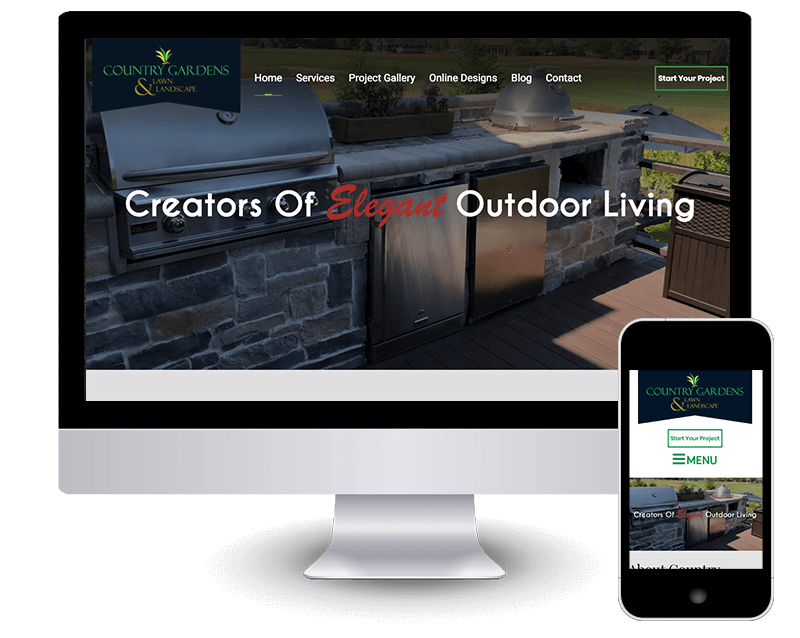 When a client is searching for a landscaping company, the last thing they want to do is spend a lot of time trying to navigate the site. Having a responsive design will keep clients happy and a user friendly experience, while navigating your site on the go. To find more information about our responsive design services click here.